Some eighteen months ago I posted this picture on my Instagram feed. 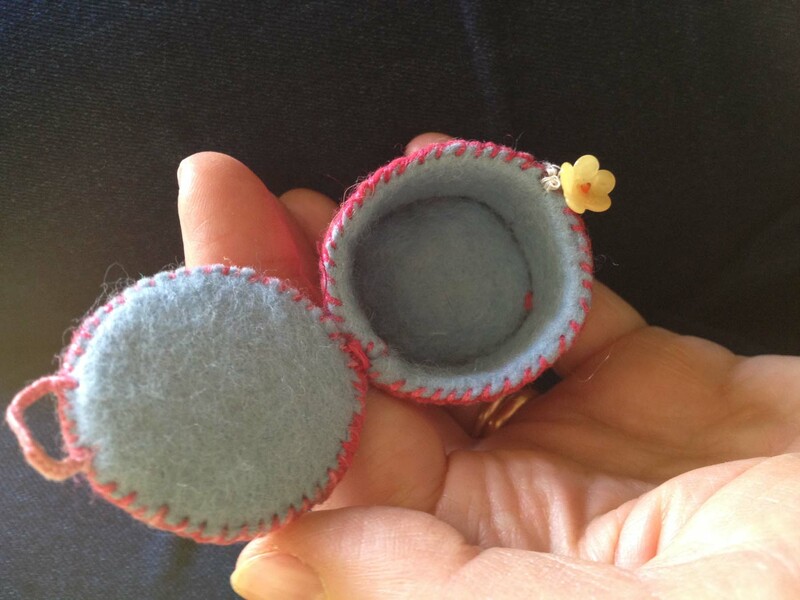 These are small felt tape measure containers that my mother made. 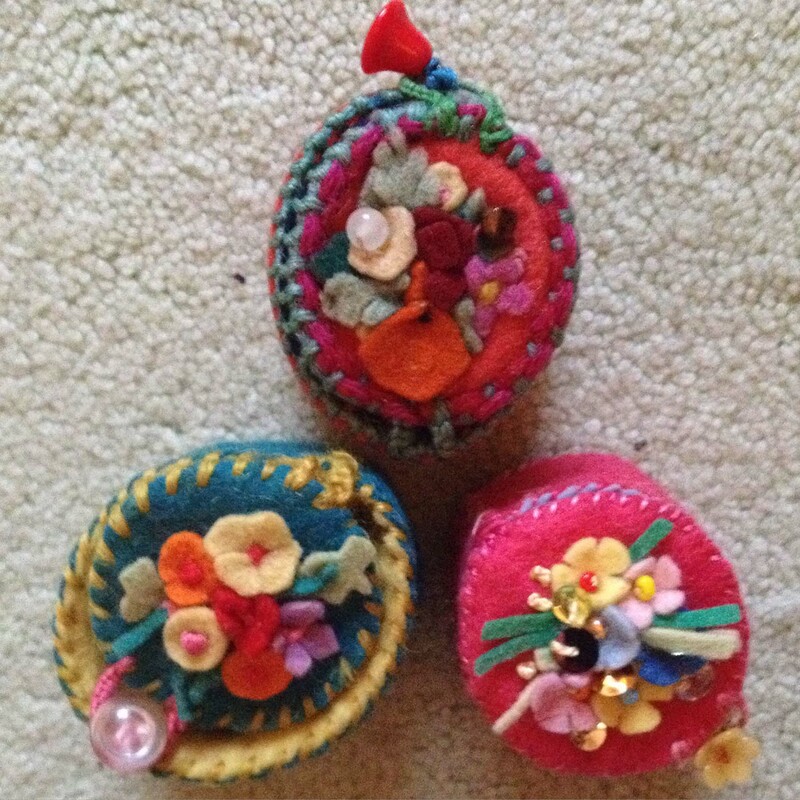 Several people were kind enough to be interested in these little containers, and I was asked if I had a pattern. Well, I didn’t, but now – over a year later – yes, I do! First assemble the pieces to make the cylinder and its base. 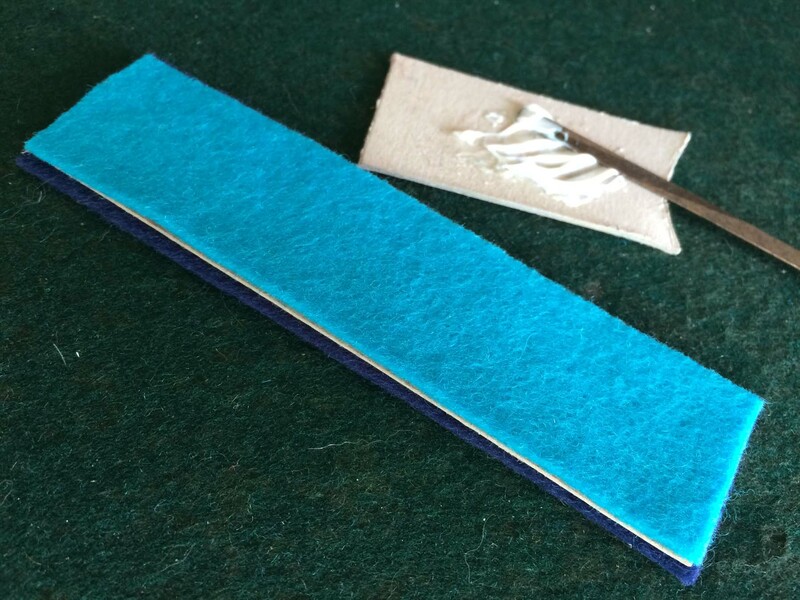 Glue the inner cardboard to the outer felt. 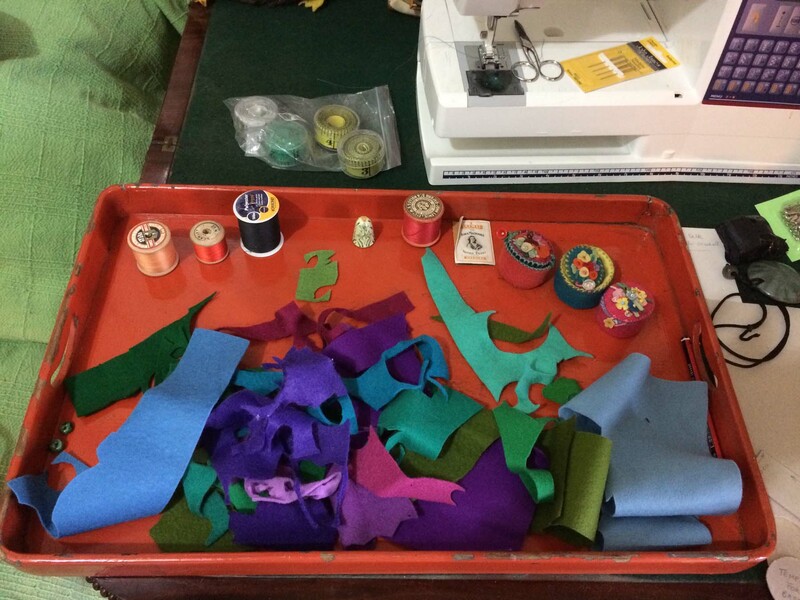 And then glue the felt lining to the already glued pieces to make a felt-cardboard-felt sandwich. 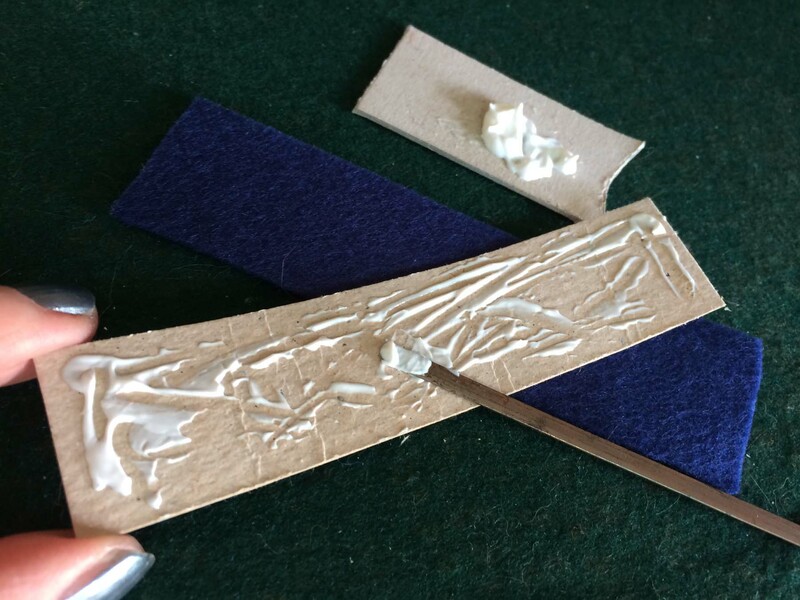 Before the glue dries, it is important to work this sandwich into a curved shape. 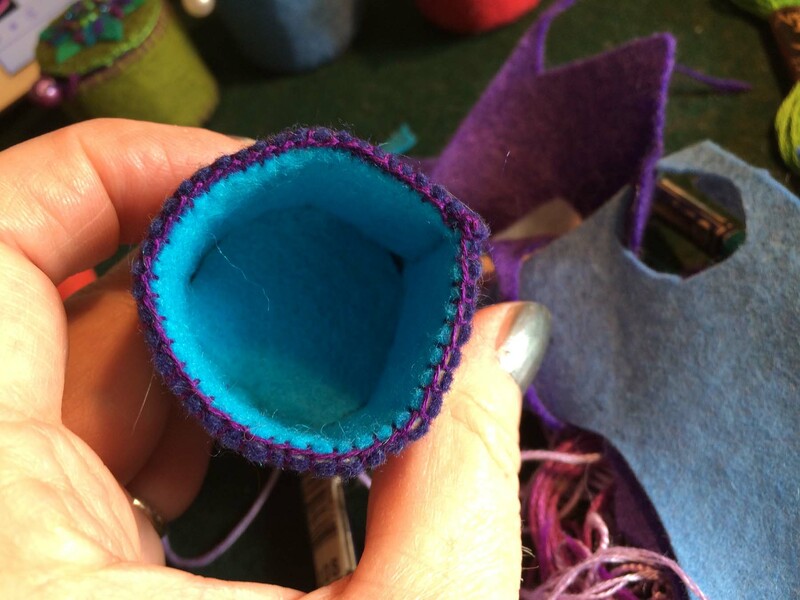 Then you can glue the round base pieces similarly (outer felt base, cardboard lining, inner felt) and leave both pieces to dry for an hour or so. 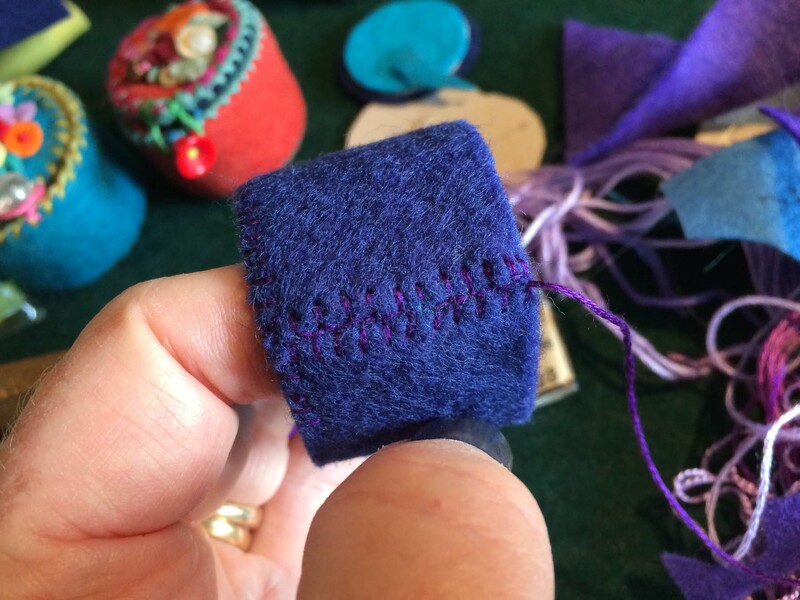 When the glue has dried satisfactorily, overstitch the top of the cylinder sides with blanket stitch (or oversewing stitch if you prefer) When you have completed working round the top of the cylinder, join the two ends together, still working in buttonhole stitch. 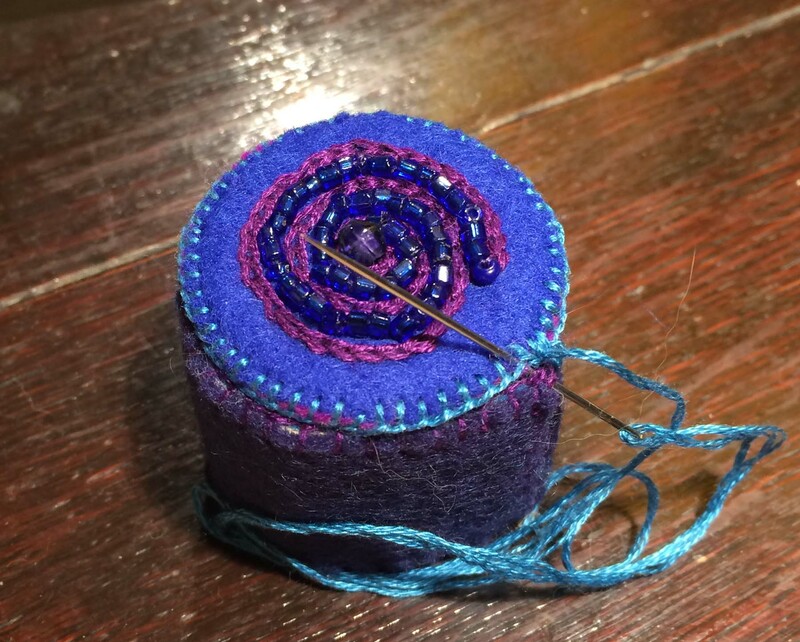 And work down the side of the cylinder, using what I believe is called Buttonhole Insertion stitch (you can see a rather more elaborate version of that stitch here) Until you have completely joined the sides of your tube together. 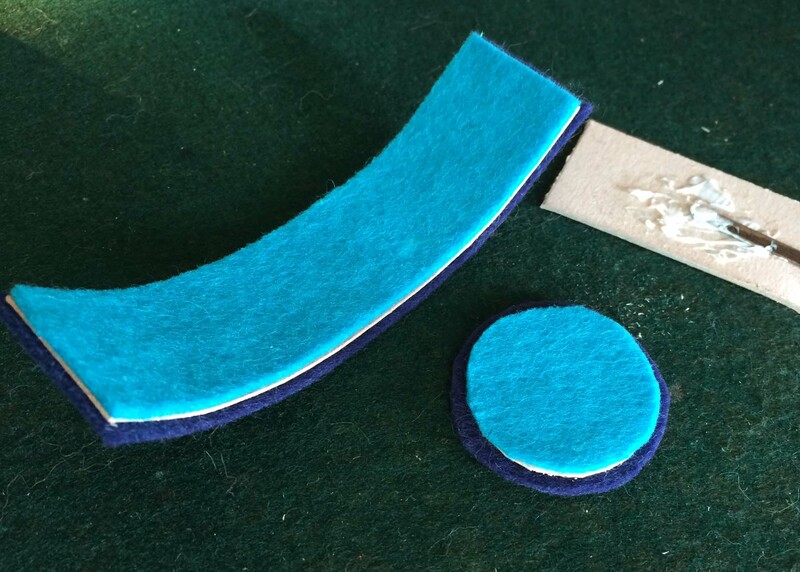 Then you can join the felt base to the tube, again using Buttonhole Insertion stitch. And working all the way round until you have joined bottom and sides completely. It should look like this. Now to make the lid. 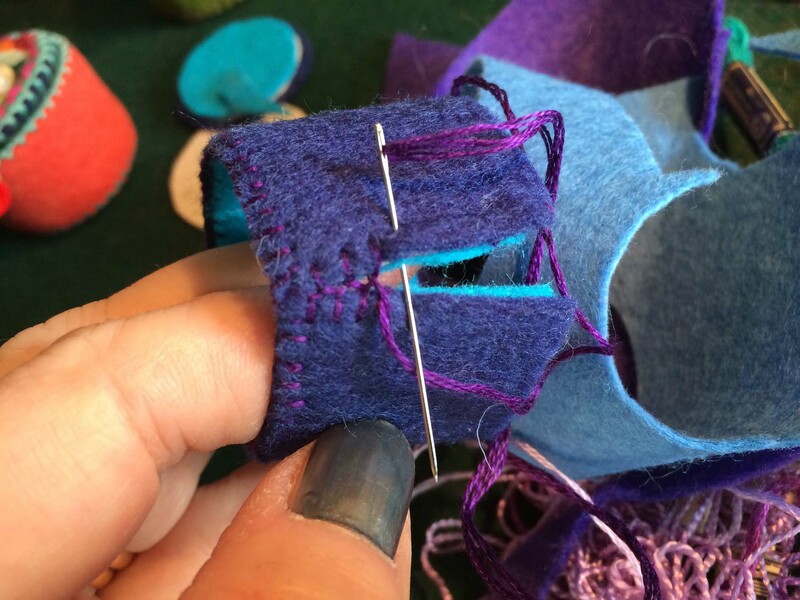 In one of my early attempts (the purple and pale blue example below), I followed the same procedure as when making the sides and base. 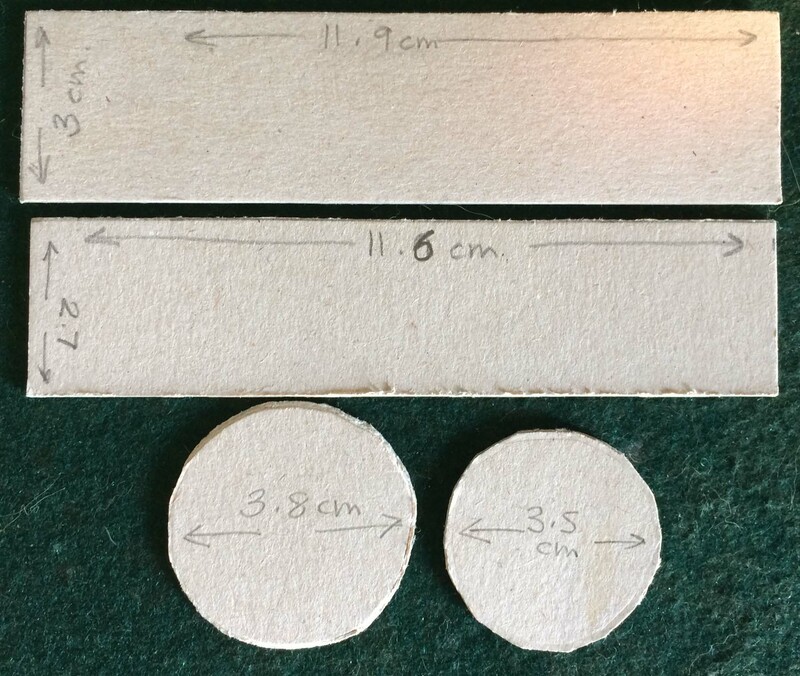 I made a felt-cardboard-felt sandwich of two larger rounds of felt and one smaller piece of cardboard (see measurements above). 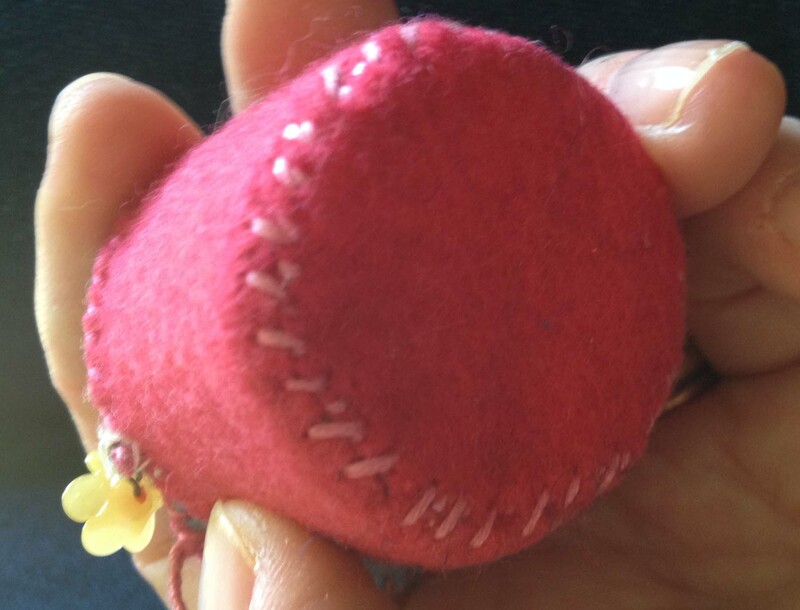 When the glue was dry, I stitched round the circumference and sewed the lid to the base. Now to have some fun with decoration, I thought! 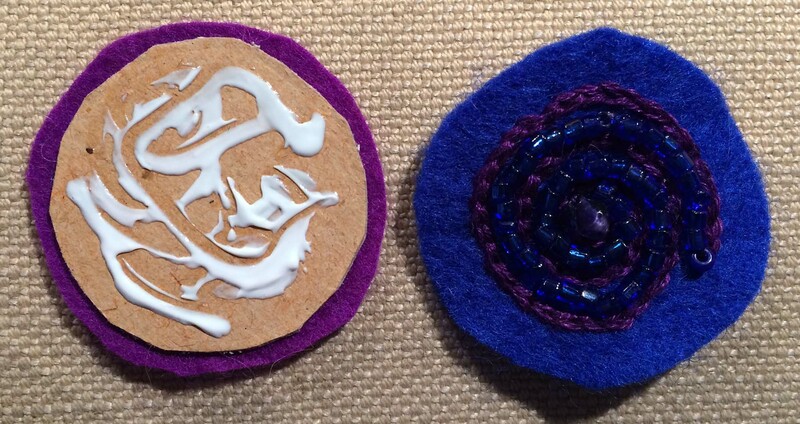 I glued on some leaves, let them dry, and then started to stitch. Big mistake! 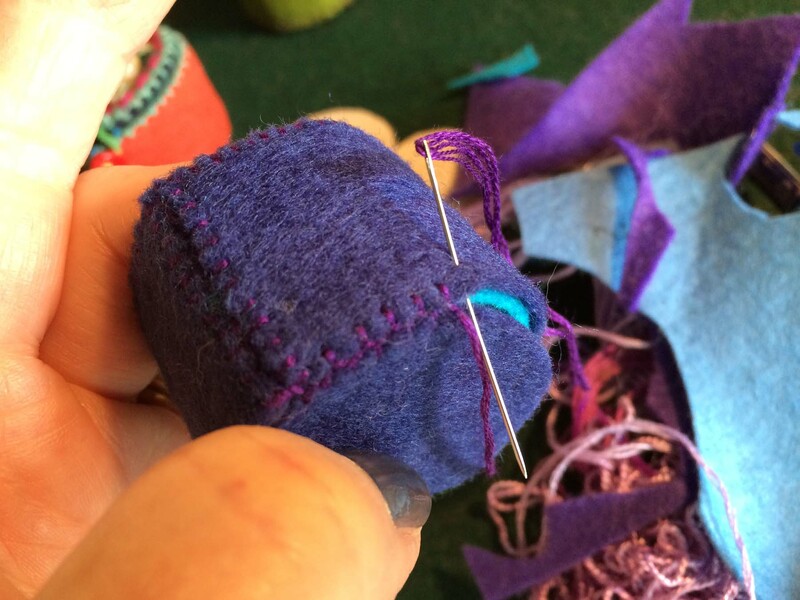 Because, of course, the completed lid is really inflexible at this point making it very tricky to sew. 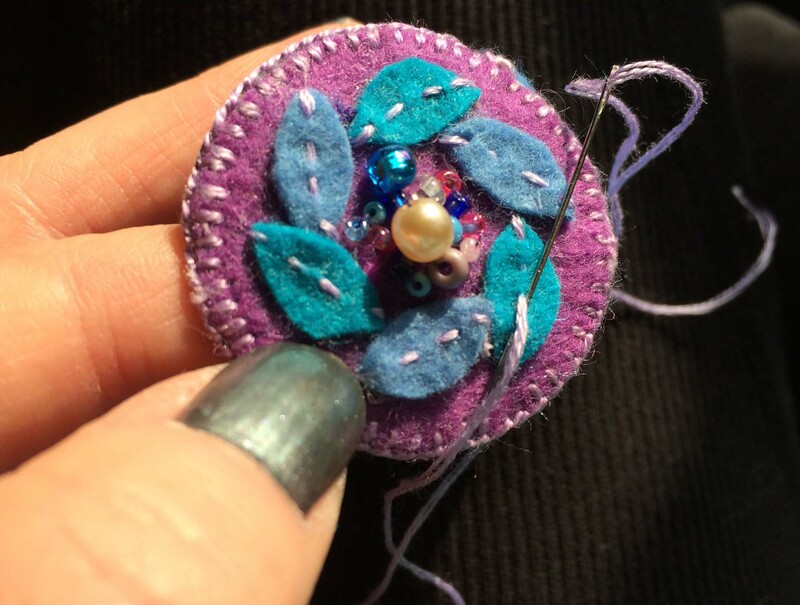 I did manage to sew some beads on … And add a little stitchery to the leaves. But it wasn’t at all easy – didn’t allow for anything really fancy. 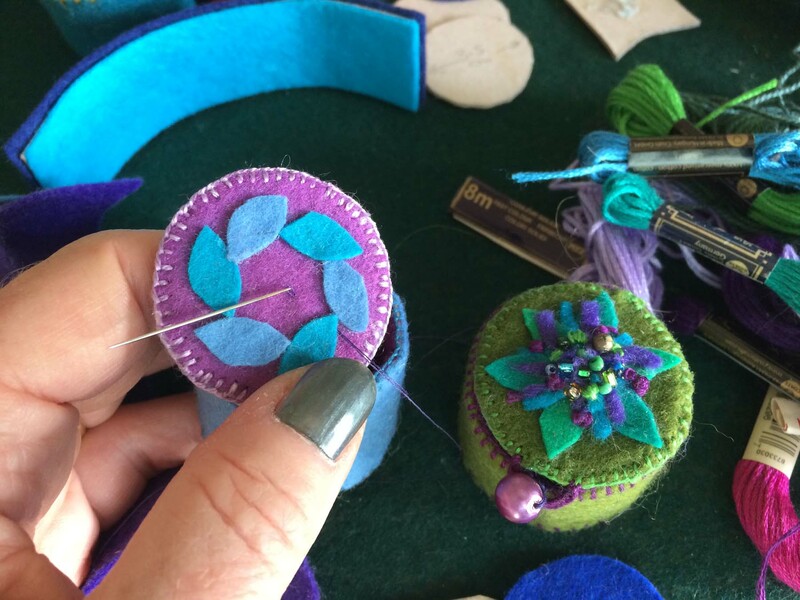 So, what I recommend is that you embroider and decorate the top felt layer of the lid before you stick the lid parts together. 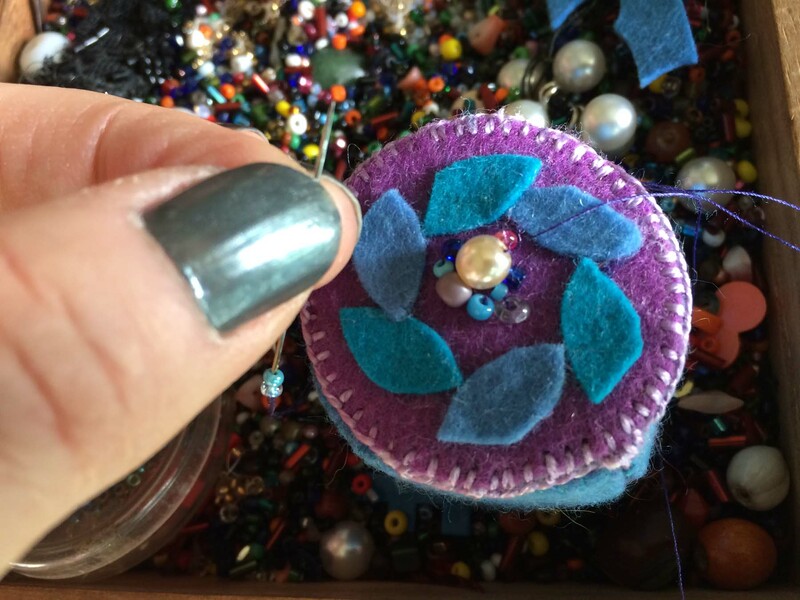 I decided to work a Chain Stitch pinwheel on this lid. Then I added some beads. 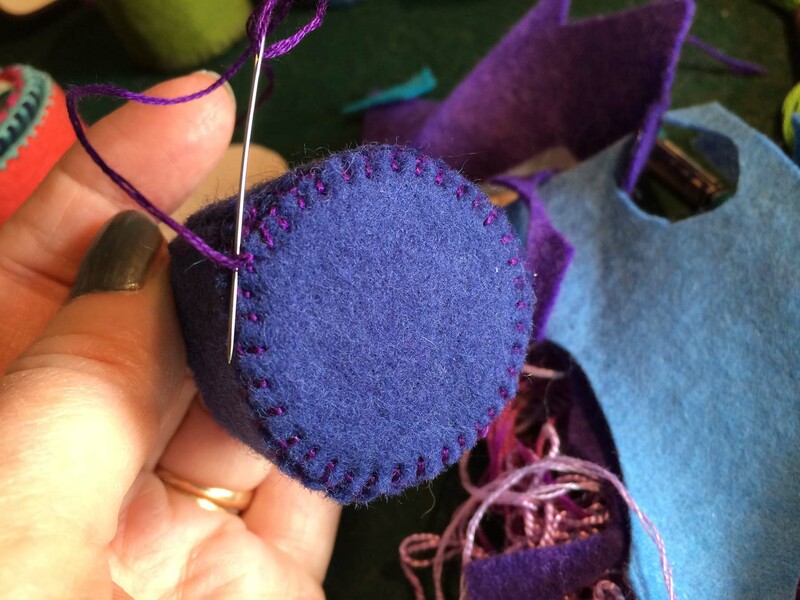 And when that was completed, I stuck the three layers of felt – cardboard – felt together. 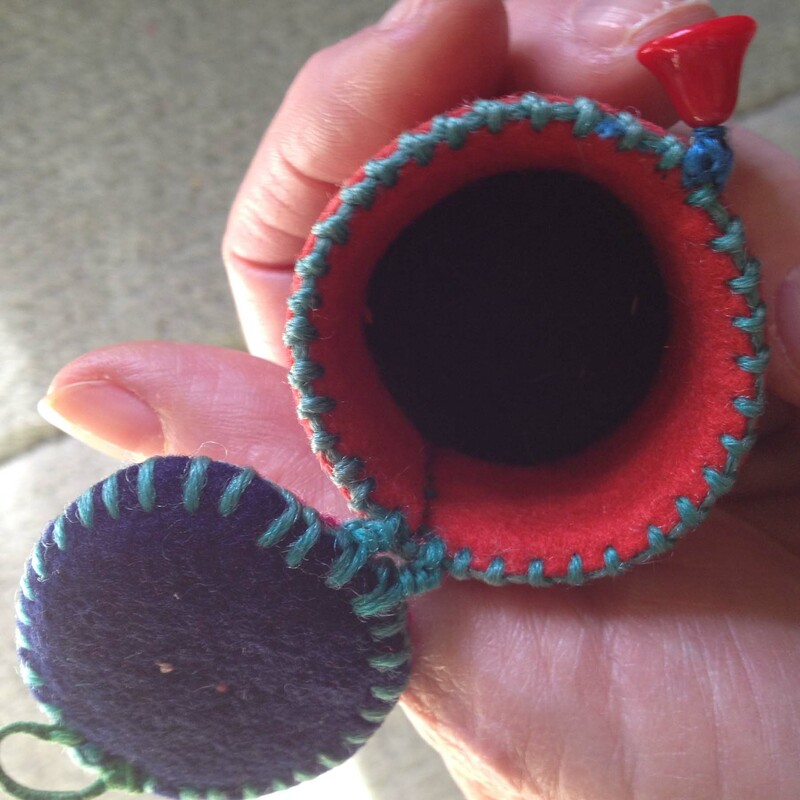 When the glue was dry, I blanket-stitched round the circumference, and finally stitched the lid to the base. 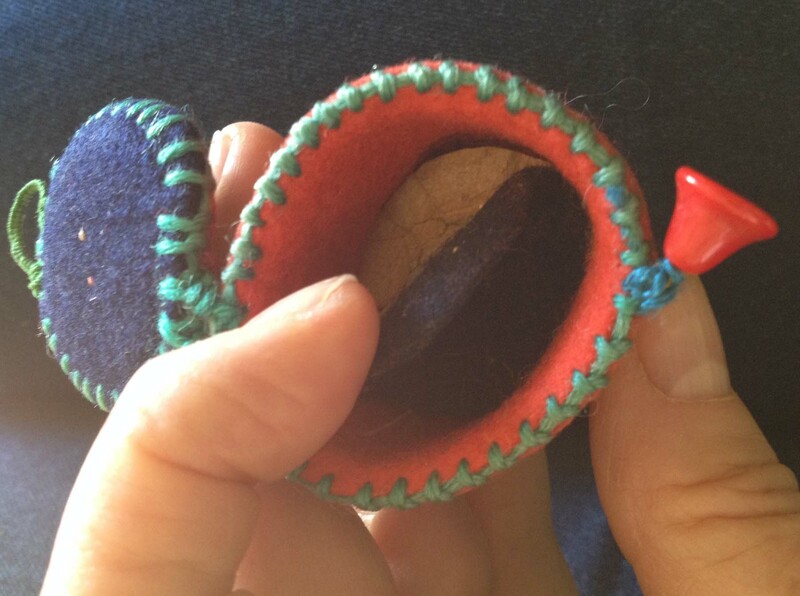 To finish, I sewed on a bead fastener, and made a buttonholed loop to hold the tidy shut. Et voilà! My completed Tape Measure Tidy! No, better than that, seven little Tape Measure Tidies! My trials and experiments along with the three old ones my mother had made. 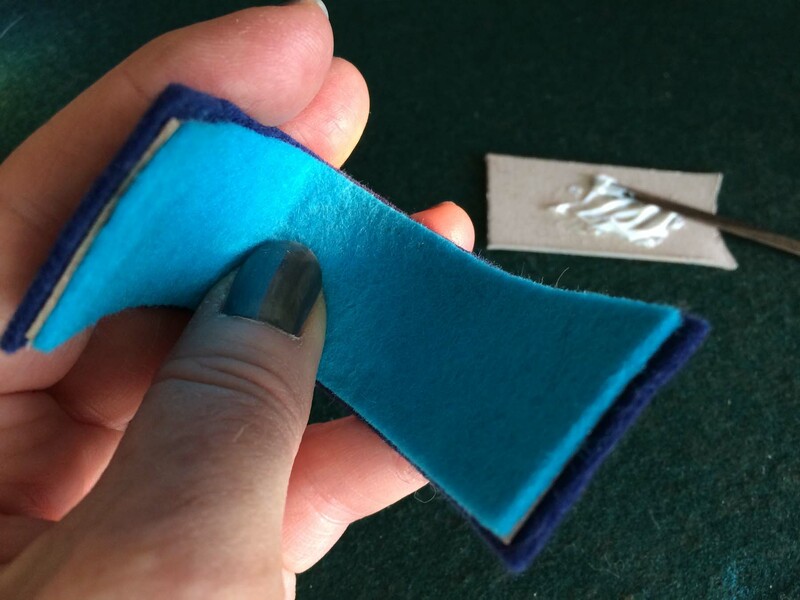 Should you wish to make a Tape Measure Tidy of your own, I hope you’ll find this tutorial helpful. If any bits are muddled, incomprehensible or downright wrong, please let me know …. Think I’ll give it a go, it will be good to have something to make in the evenings. Probably use it to keep some of my earrings in! Hope you enjoy making them! 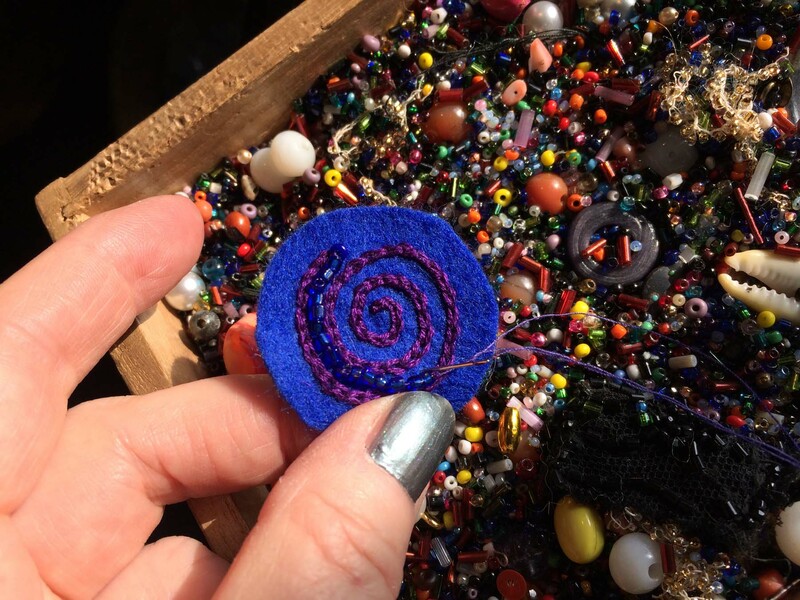 I do like your idea of keeping earrings in them but if you have half as many earrings as me, you’ll have to make several – or you make a larger one, I suppose …. Wasn’t really thinking straight, no way would my earrings fit in such a tiny box but I think my diamond rings would fit just fine, I don’t have that many! They are so pretty …. I’m going to have to make one!!!! I look forward to seeing what you make, Carol – sure it’ll be lovely! I didn’t realise such things as Tape Measure Tidies existed but now I know that I need at least one, possibly two. Yours look fabulous. 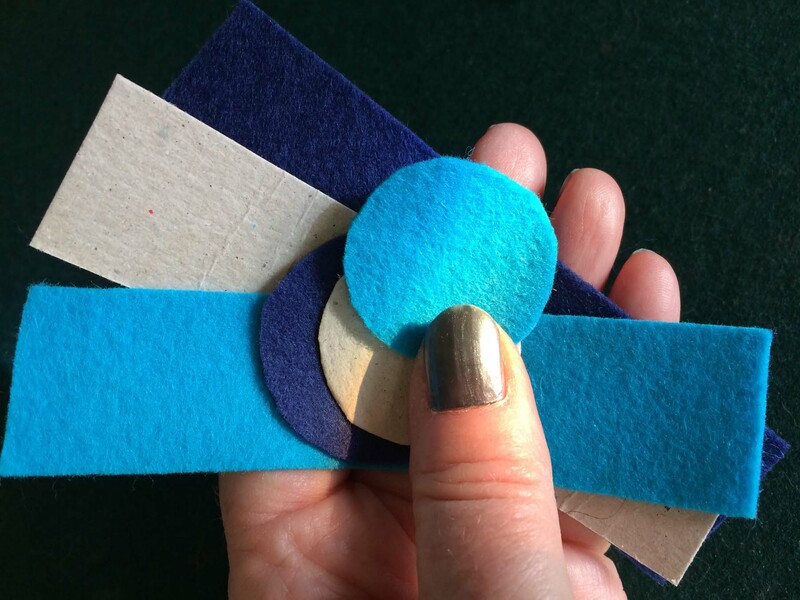 Looking forward to digging out my felt scraps and putting them to good use. D > Aren’t you so patient and careful in not just making these, but also showing us how, ‘step by step’ as the saying goes. Thank you, Denise. 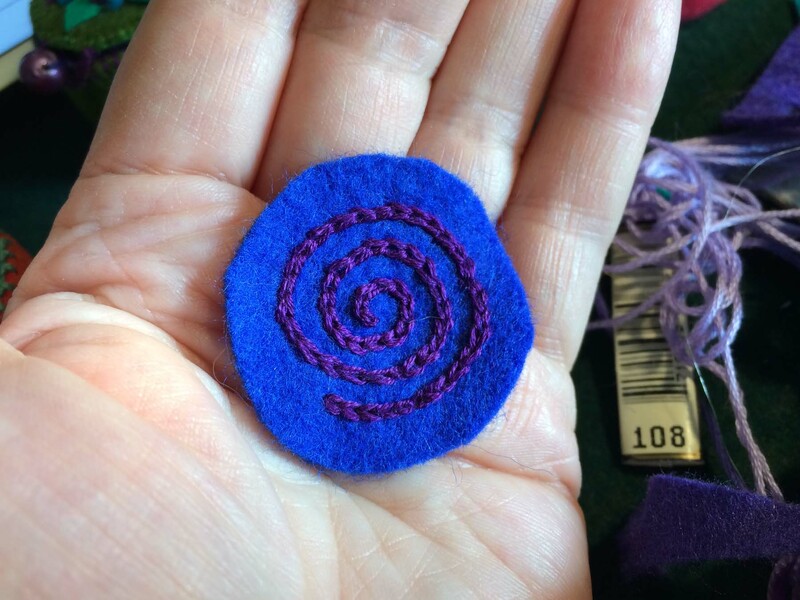 I’ve done very little felt or embroidery work in my life, so this was a real experiment for me (and the making of a tutorial too). 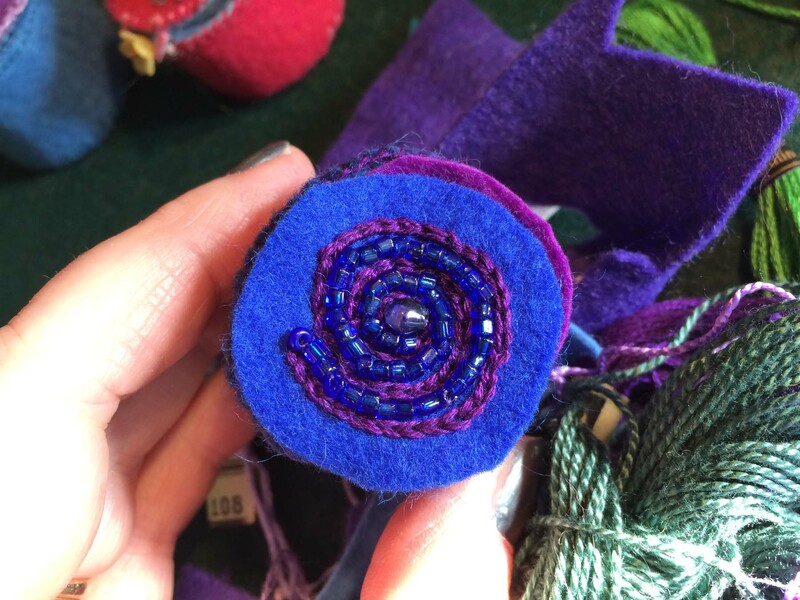 I found myself completely lost in the detailed careful work – real slow stitching! So enjoyed it. Great tutorial, what a lovely idea! Made my first one this afternoon, thanks for the idea and instruction. Wish I could show you here. It was great fun. Just seen your pics on Instagram and it’s gorgeous! What an amazing tutorial! 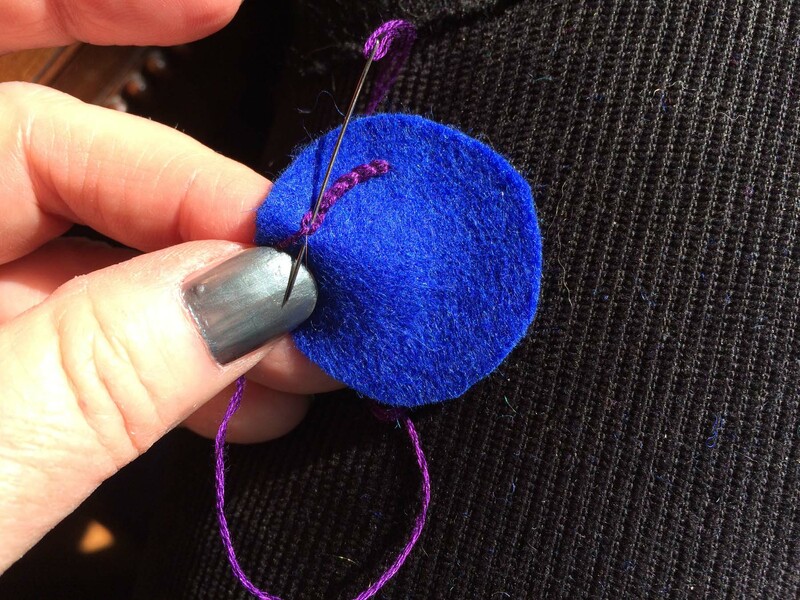 I didn’t even think of tape tidies – my tapes are hanging on the table leg in a quiet untidy manner and I always manege to lose them 🙂 I hope my quiet inadequate sewing skills will be enough for something like this! Thank you fro sharing! What a wonderful idea! These are so charming, just adorable. 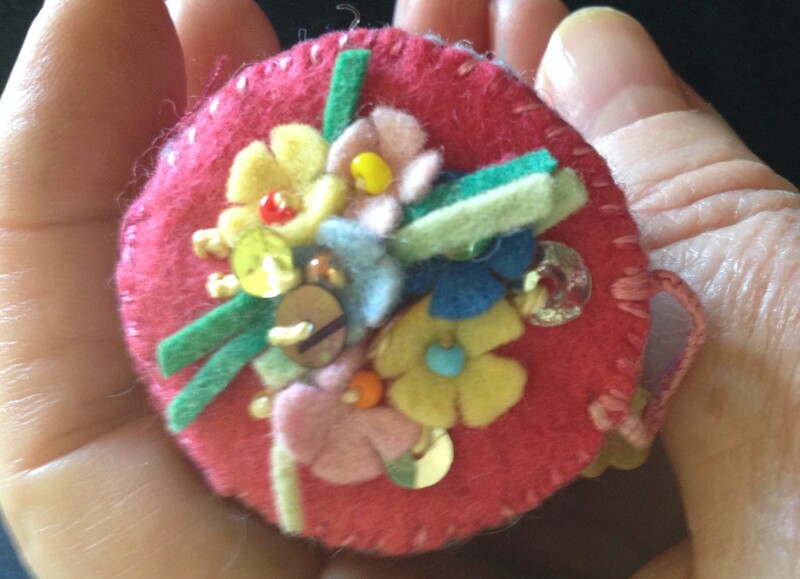 I used to make little birds out of felt, and stuff and embroider them. 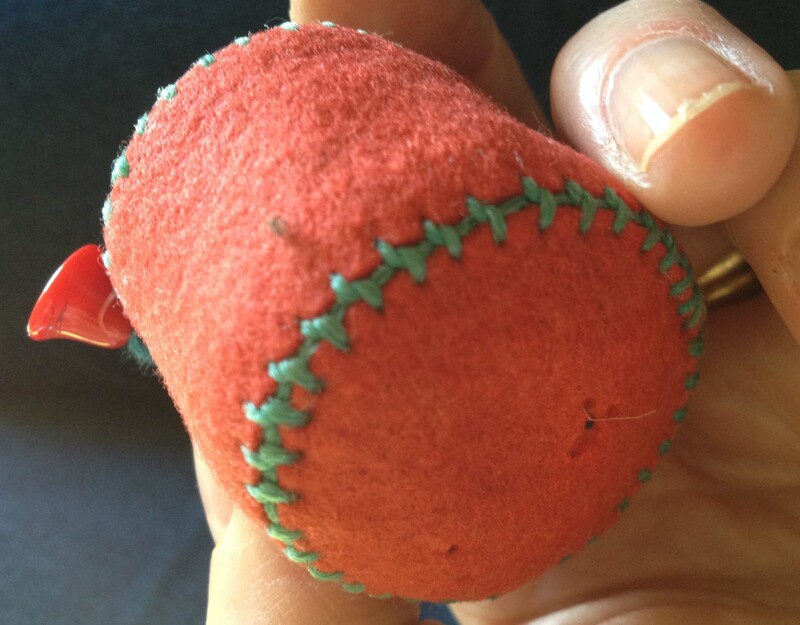 I have tape measures being mangled in drawers all over my house, so I need to make some of these immediately!! 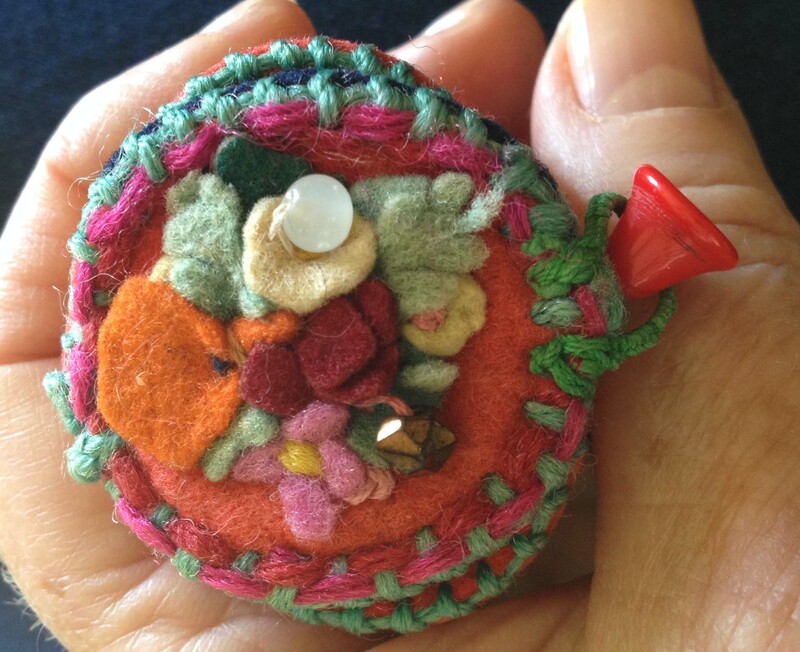 Lovely tutorial, and how lucky you are to have these things that your mother made.